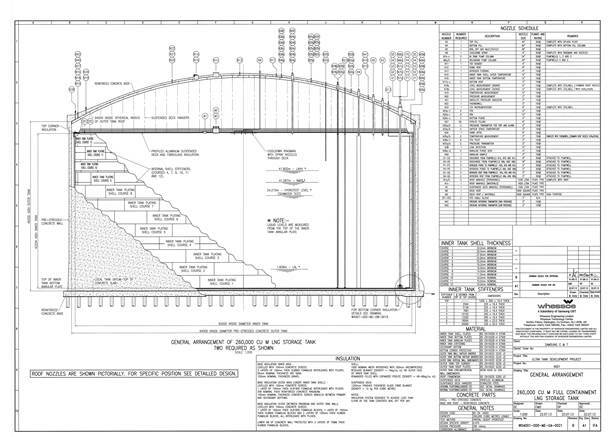 The Ultra Tank Project is a design project for both the outer concrete tank and the inner 9% Nickel tank for a 260,000m³ capacity Liquefied Natural Gas (LNG), full containment tank. The tank comprises a piled foundation with a reinforced concrete base slab, a post tensioned concrete wall and a domed outer concrete roof and roof ring beam. The project objective was to obtain third party review and approval of the Ultra tank design to enable client pre-qualification. 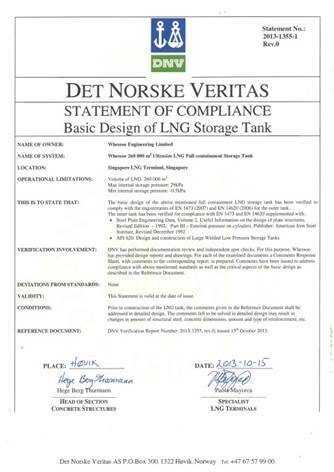 This was achieved in a record time of a 4 months with DNV (Det Norske Veritas) providing the independent third party approval.